Gregg Lerner has a broad-ranging transactional practice. He advises public and private clients in the financial services, telecommunications, and other industries in connection with mergers and acquisitions, public and private placements of equity and debt securities, international joint ventures, secured transactions, vendor finance arrangements, project finance, and commercial contracts. He also represents and advises special committees in evaluations of interested-party transactions. Representation of Trilogy International Partners LLC in connection with a tender offer and the refinancing of a $450 million high-yield debt facility. Representation of Trilogy International Partners LLC in connection with the raising of debt and equity in excess of $800 million, and the subsequent acquisition of mobile network businesses in Bolivia, Haiti, the Dominican Republic, and New Zealand. Representation of Trilogy International Partners in connection with a high-yield offering of $370 million of senior debt notes. Representation of Corporate Partners, the private equity arm of Lazard Frères & Co., as controlling shareholder of CAPS, a container and pallet business, in connection with the sale of the company to a strategic buyer. Representation of a sports and entertainment benefit program provider and online ticket marketplace in the sale of its business to a leading travel and entertainment company. Representation of a U.S. private equity fund in connection with its investment in DataNet Communications, a U.S. telecommunications provider. Representation of Trilogy International Partners in connection with the tax-driven restructuring of a majority-owned subsidiary. Representation of a major luxury chocolatier in connection with the negotiation of various loan facilities. Representation of the Special Committee of the Board of Atlas Pipeline Partners, L.P. in connection with the evaluation and negotiation of Atlas’s approximately $400 million asset sale to Atlas Energy, L.P., the corporation that controlled the general partner of Atlas Pipeline. Mr. Lerner and the firm’s work included advice related to the fiduciary duties of the Committee, identification of the appropriate level of Committee involvement in the transaction evaluation and negotiation process, and negotiation of principal transaction documentation with the purchaser. Mr. Lerner and the firm also represented the Committee in connection with a derivative action that was filed challenging the transaction. 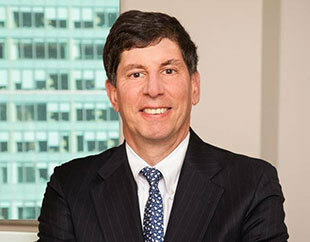 Prior to joining Friedman Kaplan, Mr. Lerner was a partner at Rubin Baum Levin Constant & Friedman, where he practiced corporate and securities law. Mr. Lerner serves as a member of the Board of Greyston Foundation which is based in Westchester County, New York, and supports low-income individuals and families as they seek self-sufficiency and community transformation. Greyston is an entrepreneurial and spiritually grounded organization that operates an integrated network of not-for-profit and for-profit companies providing jobs, workforce development, housing, youth services, and health care. He also serves as chairman of the Greyston Bakery, a leading model for social enterprises.